No mother will ever ask “What is hyperpigmentation?” Every woman who has gone through a pregnancy is well aware of the physical repercussions that she had to bear with. Of all the physical manifestations, skin pigmentation disorders are perhaps the most troublesome, which is why any child-bearing woman’s question will be, in actuality, “What is hyperpigmentation’s most effective remedy?” Well, here are 15 effective solutions that you can try in the comfort of your home. Aloe gel’s natural composition makes it ideal in driving away dark spots. Once applied on the affected areas, it should be left for 15-20 minutes before a warm rinse. Make this a daily habit and see for yourself! A mixture of cucumber or tomato juice with milk makes for an excellent combatant against skin pigmentation disorders. The great thing about this combination is that it is effective on all types of skin, whether it is dry or oily. Create a paste using crushed almonds and honey. Use a healthy layer of it on the parts of your body that are affected, and let it stay there for a third of an hour. Wash it off using warm water. One thing you can try is increasing the amount of Vitamin E in your daily diet. It is the vitamin most commonly associated with skin welfare, and even massaging the affected area with Vitamin E-based oil can bring about desirable results. One among the many fruits that are essential for the health of your skin is the papaya. You can create your very own papaya-based facemask with 2 tablespoons of papaya, 1 tablespoon of honey, and 1 tablespoon of aloe pulp. An effective variation of the papaya facemask is one that has yogurt in it. Replace the aloe pulp with a teaspoon of lemon juice, and you should be good to go. Another natural combatant against Skin pigmentation disorders is the potato. The inner meat of the potato needs to be rubbed against the affected area on a daily basis to draw desirable results. Furthermore, mint leaves are a fantastic option for any sort of skin problem. Be it acne, blackheads, pimples, or discoloration, well-ground mint leaves mixed with water can do wonders in restoring normalcy. The paste should be allowed to remain for 15-20 minutes. This is not even a daily requirement; twice or thrice a week will be sufficient. Avocado juice is highly effective against discolored skin. One does not need to add water to make a highly viscous paste that will remain on the skin once applied. Simply mash the avocados well, and apply it only on the unusually pigmented areas. An age-long recipe for eradicating dermatological discrepancies is the mixture of sandalwood powder, milk, and turmeric powder. The resulting paste should be applied on the affected area, and washed off after a quarter of an hour. Crushed orange peels and milk is another combination that bodes well for any type of skin. If your skin is not overtly sensitive, direct application of lemons can also yield desirable results. The direct application of papaya pulp is always beneficial for the skin, no matter what type of skin it may be. Every week, exfoliate your skin once using a lot of water. 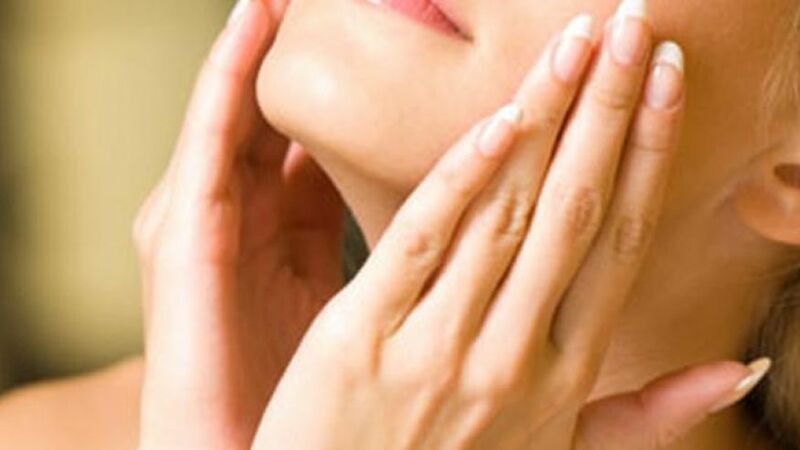 This will clear the dead cells and let your pores breathe, thereby allowing your skin to flush out all its toxins. Lastly, facemasks and recipes apart, one must ensure that the diet is healthy and not counterproductive to the cause of restoring your skin’s natural glow!